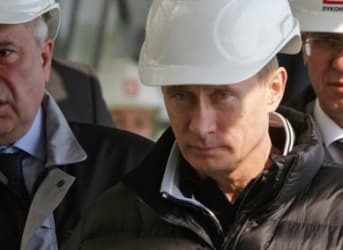 Russia’s LukOil may have dropped some of its other new exploration projects as sliding oil prices curtail spending, but the specter of declining Russian crude production has it redirecting operations elsewhere, and the first stop is Iran. 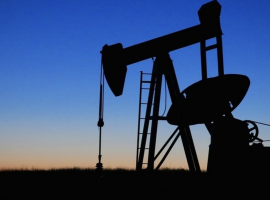 LukOil has reportedly closed a $6 million deal with the National Iranian Oil Company (NIOC) to restart development of two key deposits in southwestern Iran. And work has already begun. Like many other oil companies, slumping oil prices have pressed Lukoil to drop some of its operations such as in Cote D’Ivoire, where the company had been operating five deepwater offshore exploration projects since 2006. In today’s oil price climate, these operations have become unviable. LukOil expects Russian oil output to drop this year—for the first time in years. In fact, it’s predicting a 2-3 percent decline, and maybe even more if the Kremlin moves to raise taxes. Against this backdrop, Lukoil’s re-entry into Iran makes sense. LukOil has had a presence there since the early 2000s, and was forced to leave only after sanctions were imposed against Tehran over its alleged nuclear program. Negotiations for Lukoil’s return to Iranian oilfields took place last year, with the promise of sanctions-lifting looming large. The company reopened its offices in Iran last April. And while Iran is negotiating with Italian Eni, French Total, and Shell, according to media reports, LukOil’s track record in Iran gives it an advantage. It’s already working on two deposits and will now simply resume work at one of them, Changouleh in the Anaran block, which it used to develop with Norway’s Statoil. LukOil and Statoil started the Anaran development in 2003, but sanctions forced them to pull out in 2011. But the fields, which lie near the border with Iraq, are estimated to contain 2 billion barrels of oil. The first time around, LukOil said it lost $63 million when it had to pull out of this project. At the moment, freshly emerging from sanctions, Iran is a very attractive new opening in the oil patch. According to OPEC, the country has proven oil reserves of 157.53 billion barrels, with exports at just 1.1 million. But from a legal standpoint, these waters are still very muddy. And even if they aren’t, the important thing is that traders think they are. 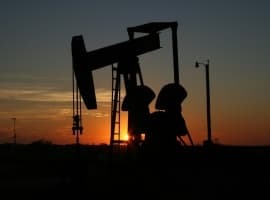 A better picture should emerge over the coming weeks, but for now, traders aren’t rushing to buy Iranian oil because there is still a fair amount of sanction uncertainty to sift through. Even Lukoil isn’t 100 percent clear on this, conceding last week that it was not sure that Italian- and Dutch-based refineries could buy Iranian oil yet. The twist is this: All the trading hesitancy is helping to boost an emerging price war. With Iran hoping to start crude shipments to the European Union already in February—despite the legal uncertainties—Russia and Saudi Arabia continue to discount their crude sales to Europe in hopes of cornering market share here.